After high school, I decided the best way for me to stay out of trouble was to not hang around the bowling alley for another summer. My sister had joined the US Air Force a year earlier, so Mom suggested I see the local recruiter. I scored near the top in electronics and mechanics, so the recruiter said I could pretty much pick my profession in either of those fields. I went with electronics and took the leap. But when the blast of hot, humid air, and screaming Drill Instructors hit me square in the face as I stepped off the plane in San Antonio, Texas, I instantly knew this was NOT what I was going to be doing the rest of my life! On the bright side, I had four years to figure out what I really wanted to do. Though Basic Training didn’t allow much time for anything else, when there was a spare moment I headed to the Rec Center which had three private piano booths. I took advantage of that time, practicing piano like my life depended on it (which, in many ways, it did!). After surviving Basic Training, I was sent to Keesler Air Force Base in Biloxi, Mississippi. I attended electronics tech training from 6 a.m. to noon, then, after some chores, I pretty much had the rest of the day and night off. I met other airmen with musical interests at the on-base Coffee House that happened several evenings a week. More piano, some blues harp, and I wrote my first song. Rain was the title, something that happened a lot in Biloxi (unlike my native L.A.). It was also at Keesler that I saw my very first cover band (musicians who play the hits of the day). I was particularly fascinated by the electric bass this guy was playing. Soon after, I got my first bass, purchased from a local pawn shop. My next duty station was Hamilton, AFB in Novato, California (about 25 miles north of San Francisco in Marin county). It was my first real “job” in the Air Force. It was like a 9-to-5 and then I was off to do whatever I wanted. I got a Honda 450 motorcycle and explored the beauty of Marin and its surrounding counties. It was nothing like L.A.; it was paradise! I set up the beginnings of a recording studio in my barracks room, picked up a second bass (a used Fender Jazz 1964 model, also from a pawn shop), and proceeded to practice, practice, practice. I met more musicians both on and off the base, and struck up friendships that have remained for many years. My last tour of duty was in Bitburg, Germany, not far from the Luxembourg border. I had to extend a couple months beyond my four-year commitment to take it, but I’m glad I did. Here’s where I built a real studio in my barracks room and with new musical friends I met playing at the service clubs, I got into bands, played on and off the base, got paid some, entered the Air Force Talent Show (and made it all the way to the worldwide finals!) and recorded my first full-length album. By the time my four-plus years were up, I was a free man and ready to embark on my first post-service adventure. I ended up in Fort Walton Beach, Florida, for a year, playing in two bands with the same guys I met in Germany (one was also done with the service, the other, still in and posted at Eglin AFB in Fort Walton). We rented a house and set up a studio in the living room with the control room in the dining room (when you’re musicians, who needs living/dining rooms anyway…). We loved the music we were playing but the club owners didn’t. Guess we were too progressive for the area. After a year, we parted ways. (Here’s the part about not being able to get a job.) I went back to L.A. and sent out about 25 résumés to recording studios, seeking employment as an engineer. Only got one response, from a place that said the only opening was for someone to sweep floors and clean ashtrays. I didn’t go for that. Best decision I ever made. I set up my own personal songwriting recording studio in my apartment living room. 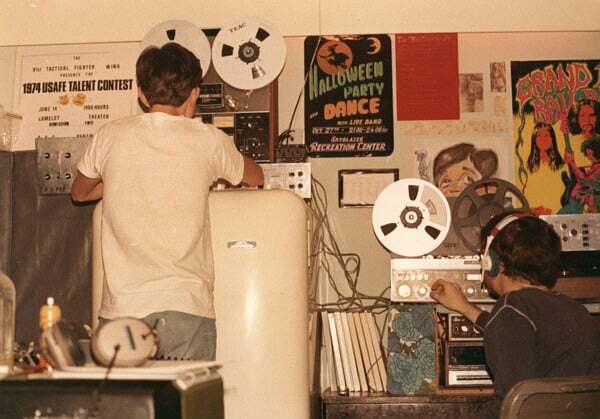 I still needed a “day job” so I hooked up with an electronics parts distributor in West Los Angeles that had an in-plant store on the Rockwell grounds in Downey (halfway between L.A. and Disneyland). The parts job was in support of the Space Shuttle program, so that was cool. And I made contacts with suppliers that would come in handy down the road when the time came to build a real studio. I met a local songwriter and we started recording tracks for an album (for fun and free). I was creatively involved enough with the project that I became part of the duo, kinda like Loggins and Messina. It was during this time that word spread about the “sound” I was getting in my little writing studio and some guy paid me cash money to record his songs for $8 an hour. That was 1977. Theta Sound was now officially open for business! 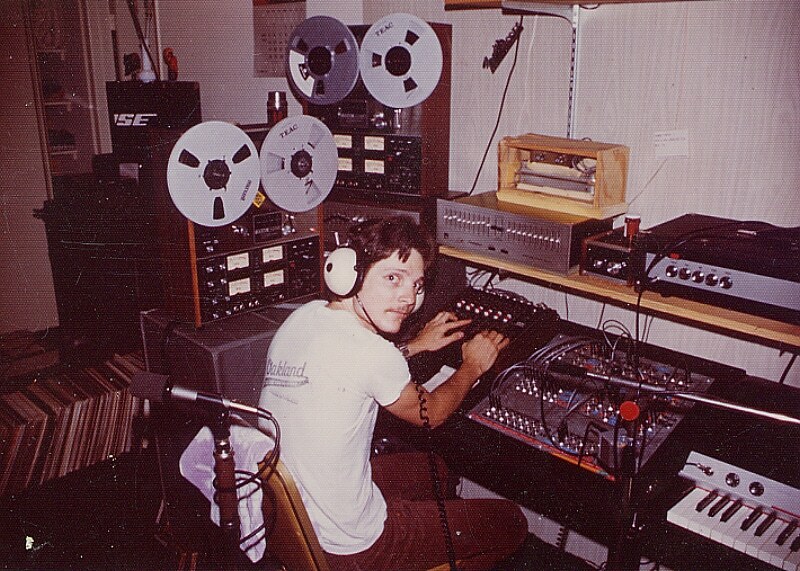 When the electronic parts gig ended, I moved to Hollywood and got a job with a British light and sound company, TFA Electrosound (later shortened to just Electrosound). It was an exciting job and I got to travel to a few cities in support of artists like Journey, Blondie, Foreigner, Ted Nugent, the Cars and Cheap Trick. But most of the work was at the main building which moved to North Hollywood while I was there. Electrosound sent me to JBL to learn speaker reconing and I ended up fixing a lot of blown speakers from the tours (especially Ted Nugent!). 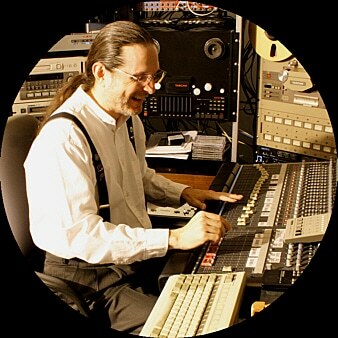 I also learned a lot more about live sound (a big step up from the sound systems we used when I was in those Air Force cover bands) and was able to purchase some used gear from Electrosound for my own fledgling live sound company, Clearsound Services. As you can tell by now, the few people who even knew what the Internet was at this point in time probably had top-secret clearances! We were still about 15 years from the dawn of the web. But at this point in the story, you can see how my life is beginning to roll. Every path I’ve passionately pursued, has resulted in me becoming proficient enough to become a professional. This pattern would continue as I expanded into the first computer built for music (no, it wasn’t Apple), the Atari 1040 ST. Then I needed to create a newsletter for our studio, so I switched gears, wrote stories, sold some ads, and picked up a few things from my girlfriend who happened to be a graphic designer. Eventually I was cutting type galleys, doing paste-up on layout boards with a hot waxer, turning photos into Veloxes, and many other old-school graphic arts techniques that have pretty much disappeared. In the mid 80s, word processing emerged as the hot technology to learn and get good at so I invested in a Panasonic Sr. Partner Portable IBM-compatible PC (about the size of the first Compaq PC) and it came with WordStar. But I was more interested in how to get typeset-quality output from a dot-matrix printer, than typing 100 words per minute. 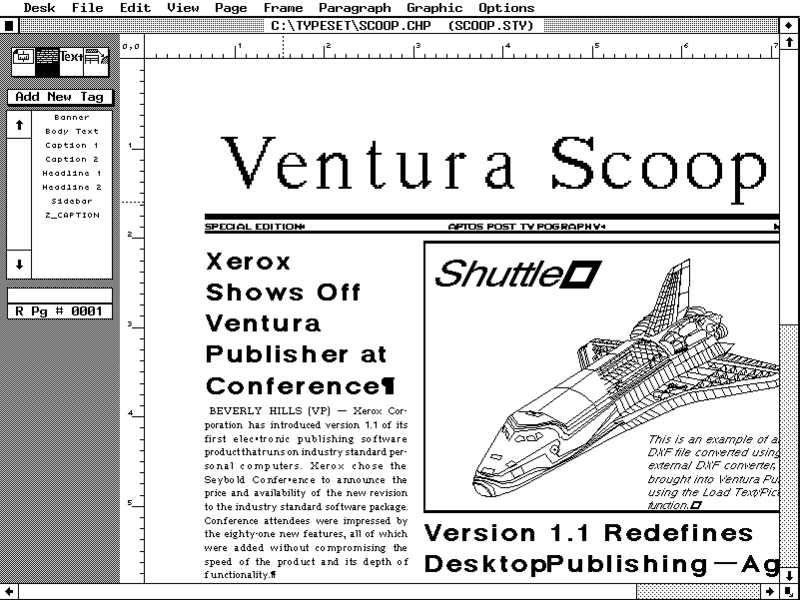 It would be several years before Apple would release the LaserWriter with PostScript page-rendering technology (still in use today) that pretty much signaled the dawn of the digital desktop publishing revolution. Once that happened, I was totally in! By 1987 I’d upgraded to a purpose-built PC and made the investment in Ventura Publisher (about $500 for the software) which ran in the GEM layer on top of DOS (Windows was at version 1.01 and had not caught on yet). I got really good at VP, so much so that when the first certification test was offered by the national Ventura Publisher User Group (VPUG) in San Jose, I was one of the first five in the world to pass with flying colors. Ventura and PageMaker were the power players in this arena; Ventura dominating the long document sector (manuals, books, technical publications), while PageMaker ruled the short doc roost (flyers, newsletters, business cards, etc.). The challenge was to coax Ventura into making great short documents, which I eventually did. It was the Wild West of computer typesetting, vector illustration and bitmap (photo) scanning and editing. Those courses I loved so much in junior high (and photography in high school), made learning the “new” technology a lot easier. The only difference was everything was now done on a screen using a mouse and keys, saving files on floppy discs, and eventually humongous hard drives that could store a whopping 20 megabytes of data (for only $500!). When I needed to learn more about Ventura, I discovered there was only one place in town: the Southern California chapter of VPUG, SC-VPUG for short. It was run by Bob, a musician (see a pattern here?) and he held monthly meetings at an office building about an hour’s drive from where I lived. Eventually, Bob moved on and when it was time to elect a successor, I threw my mouse in the ring (and got the gig!). Little did I realize just where that path would lead me. I ended up running the group for 15 years, holding hundreds of meetings, writing hundreds of newsletters, learning and demonstrating hundreds of new products, you get the idea. I was passionate about it. And I got hired to consult for small companies. And big companies. Most of them were PC based, not Mac. To cut costs, many companies brought their outside graphics and publishing services in-house, figuring that with this revolutionary software, their employees could just “pick it up.” Training for these folks was needed in a big way. I was in the right place at the right time. In the early 90s, the modem became a necessary computer peripheral as it was the best way to download software patches to fix bugs that were becoming more prevalent during the mad rush to get software to market before it was really stable. The data-transfer speeds at that time were 300 to 1200 kbs and you needed an available telephone line without Call Waiting! 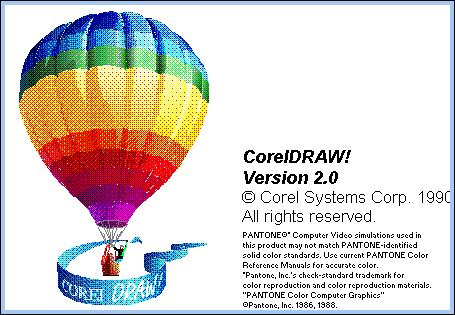 It was also during this time that training seminars and conventions sprung up around the major programs of the time including: Ventura Publisher and CorelDRAW. After attending one of these conventions and their seminars, I thought it would be a good idea to create some of my own. From 1993 through 1996 I traveled across the US and Canada to 26 cities (each year) delivering my own training seminars for CorelDRAW, Micrografx Picture Publisher, Visual Reality (one of the first 3D programs for Windows) and basic type and design skills. I used all of these tools (and Ventura Publisher) to create the training materials given to each attendee. 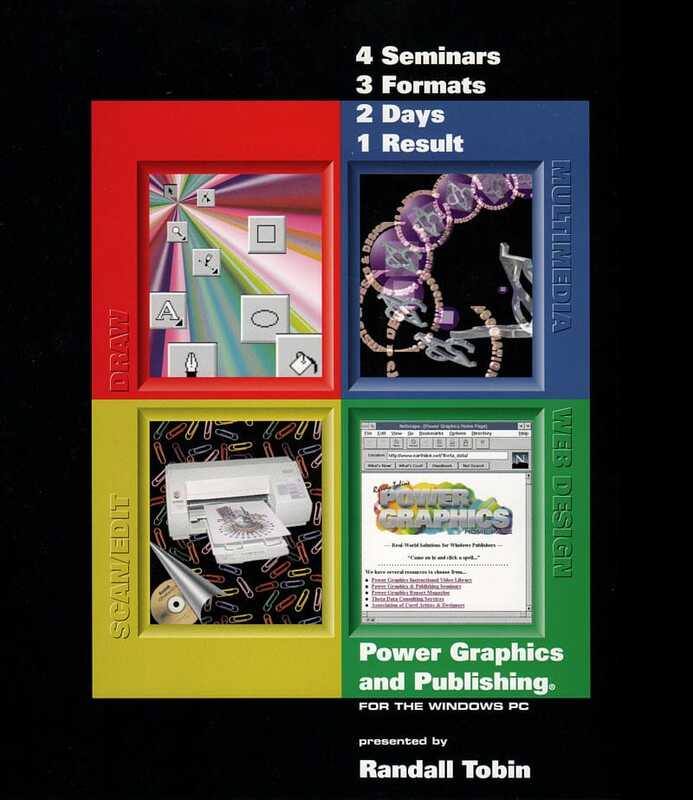 When the Internet took off in 1994, I learned how to program websites using HTML and the structured use of graphics and images. Once I learned how to do this, I created a training seminar so that others could learn, too. I created the seminar workbook binder cover below, and the monochrome interior pages, using all of the tools listed above. After three fiscal years on and off the road, it was time to lead a “normal” life again. I struck a balance between my music, recording others, typesetting, graphic design and website design. I still ran the user group, but now the name had been changed to PGUN: Power Graphics User Network. The skills I had gained during the seminar years paved the way to offering CD package design and website design services for my recording clients, and logo design, typesetting and newsletter design for our non-music clients. 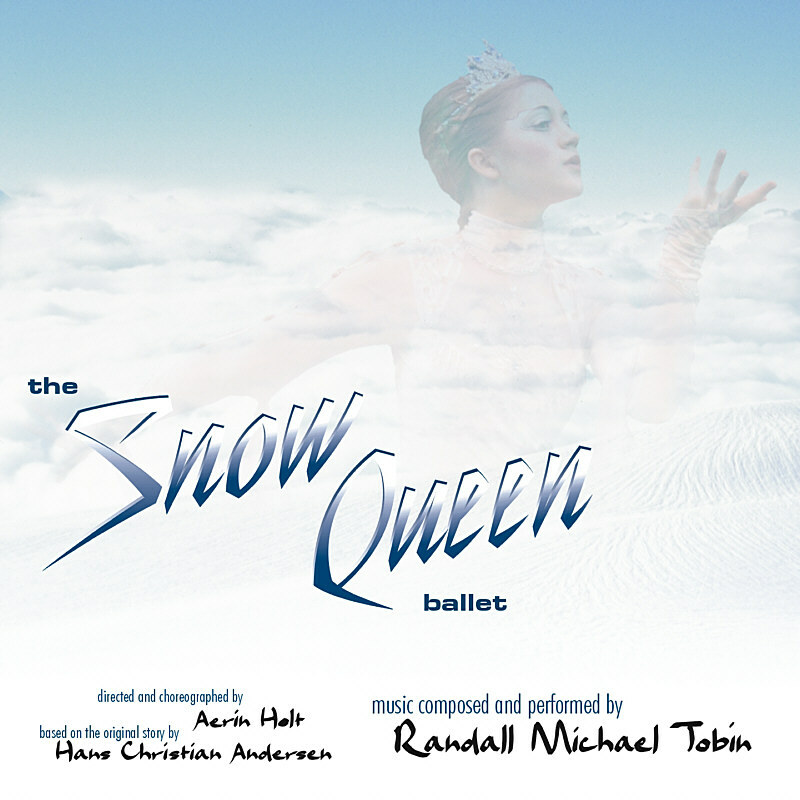 In 1998 I was asked to create about two hours of original music for a new ballet, The Snow Queen, based on the story by Hans Christian Andersen. It was an impossible task, paid no money, and the artistic director needed all the music over a 12 week period. The studio was busy and the only day I could even think about working on such a project was Sunday (if my wife agreed). I agreed to do the project, and it was one heck of a creative ride! With only a scene-by-scene description and approximate times needed for each piece, in 12 Sundays I created the entire score. I didn’t get to see any of the dances because they couldn’t be choreographed without my music. Two days before opening night I saw the dress rehearsal and was blown away. And so were the audiences! This show was like Hans Christian Andersen meets Cirque du Soleil. The Snow Queen went on to run for 16 winter seasons in Los Angeles, got front-page press and television exposure, and I sold a few CDs of the ballet soundtrack along the way. But another career path took place starting with the first year of The Snow Queen: Video. After the first season, since the music was now prerecorded, I decided to take on the video recording, editing and packaging of the show. It was the perfect opportunity to spend hundreds of hours shooting, mixing the audio, uploading the video, editing, titling, mastering, designing the package, supervising the duplication, and so on. I also began to help the dance company by designing the show tickets, souvenir programs, CD and Video/DVD packages, and the Snow Queen website. All of this was donated time; I wanted the show to look as good on tape, in print and on line as it actually was on stage. It wasn’t long before I was ready to do video as a seasoned pro. And as computers got faster, had more memory capacity, and video technology got smaller, I was able to do just that. It’s worth mentioning that the demands I put on software and hardware were such that I became a beta tester for many media production products including Hybrid Arts’ SMPTE Track Professional (music sequencer for the Atari platform), Ventura Publisher, CorelDRAW, Picture Publisher, Adobe Premiere, Session 8 (Pro Tools for Windows), Logic (music sequencer for PC/Mac), and Samplitude (digital audio workstation). I’ve also been a test site for several website authoring tools including Adobe DreamWeaver, NetObjects Fusion, and Xara Website Designer. All of these tools have their plus points and minus points, but the big plus is that I learned something about all of them and so was able to apply that to creating real-world products for our clients. Today, virtually all of the technology covered in this autobiography (and a lot that isn’t here) comes into play with every website our company creates. Websites are no longer silent brochures waiting to be seen by random visitors. They are living, breathing combinations of the best copy, artistic and functional typography, branded graphics, emotional colors, stunning photography, engaging video, and secure e-commerce systems. And that’s just the part that’s visible to all who find your site! There’s a whole lot more going on behind the scenes: Content Management Systems (CMS), Frameworks and Themes; Industry Research; Market Research; Search Engine Optimization (SEO), Blogs; Meta Tags, Keywords, Analytics, Lead Capture, E-mail Campaign Integration, Specialty Plugins, and the list goes on. The Web today is a far cry from what it was in 1995. In fact, the Internet has become the new television, with younger people spending more time on line than watching TV. Your website has to stand out above the noise. It needs to be attractive, entertaining, and a place visitors will tell their friends, family (and yes, their dog) about. It needs to reflect your vision, and it needs to get results for you and your business. I’ve spent most of my life mastering the tools of several creative disciplines. The path I’ve taken has led me to where we are today: creating websites and content that attract who you want to attract; that solve the problems people need solved; that communicate what you need to communicate to others; and that hopefully, through your success, make this a better world for us all.